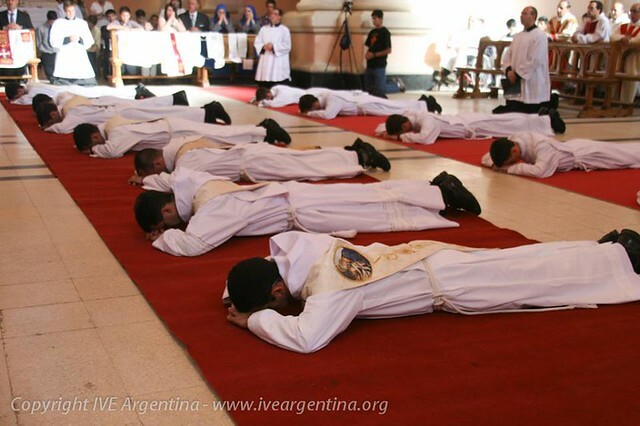 Last Friday (December 6), 7 priests and 5 deacons of our Institute were ordained. 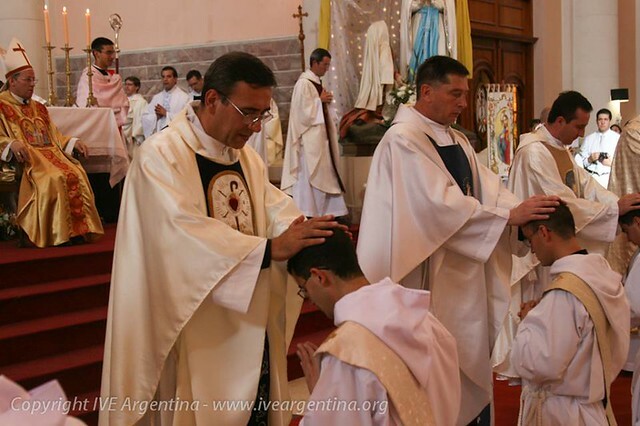 The ceremony took place at the Cathedral Church of San Rafael (Mendoza) officiated by the bishop, His Excellency Eduardo María Taussig. The Church was filled with faithful from various parts of the country – friends and relatives of the candidates receiving Holy Orders. • Néstor Andrada (from San Luis) is a monk and has been assigned to the monastery of “Nuestra Señora del Socorro” in Tenerife (Spain). • Germán García (from San Luis) has been assigned to the major seminary “María, madre del Verbo Encarnado” in San Rafael. • Tristán Gelonch (from Córdoba) is a monk and has been assigned to the monastery of “Nuestra Señora del Pueyo” in Barbastro (Spain). • Maximiliano Navarro (from San Rafael, Mendoza) has been assigned to the mission in Papua New Guinea. • Esteban Olivares (from San Rafael, Mendoza) is a monk and has been assigned to the monastery of “Nuestra Señora del Socorro” in Tenerife (Spain). • Gabriel Vergani (from Buenos Aires) has been assigned to continue his mission in the “María Reina” Parish in the city of La Plata. On Saturday at 10:00 a.m., the new priests celebrated their first Mass in the Seminary Church, which was followed by lunch with the families. To see more photos of the ceremony, please click HERE.